Click here to see the Service Calendar. Welcome to the Heytesbury Church website. If you'd like to make any comments, suggestions or additions, please email us at info@heytesburychurch.org. Alternatively you may wish to follow us on Facebook and Twitter. This is the name of the proposed project to create an open space within Heytesbury Church for use by the wider community. The repair of the chancel roof has begun with scaffolding erected and the Welsh slates have arrived. Roofers are now working underneath the canopy. Tytherington Road has become a little more narrow and we ask people to take extra care at that point. The work will continue until July. The Wolfson Foundation Trustees have decided to offer a grant award of up to £10,000 towards the cost of repairs to the church fabric. This is excellent news and very much appreciated. 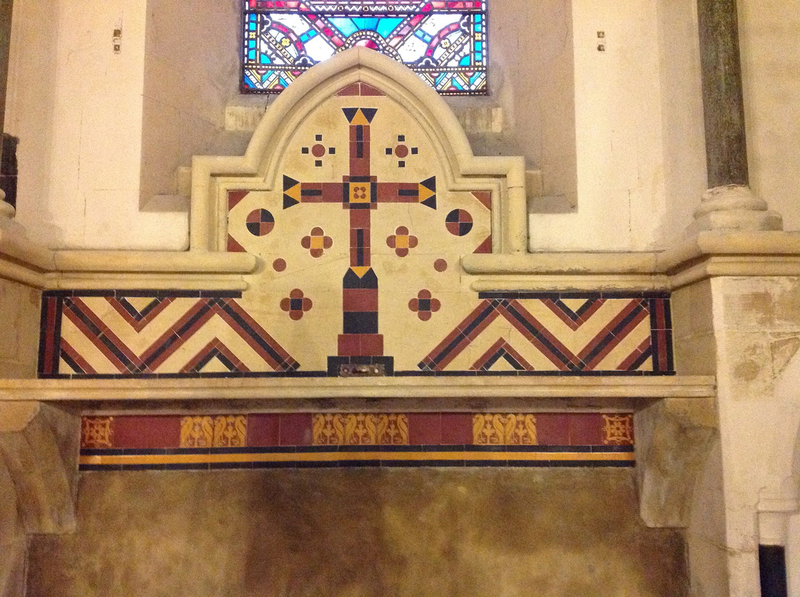 The Wiltshire Historic Churches Trust has generously awarded a grant of £2000 towards the chancel roof repairs. This is the second grant from this Trust and we are extremely grateful for their support. The HB Allen Trust has awarded the church £11,000 for the chancel repairs & roof and the Care Churches Trust has given us a grant of £10,000 towards our costs. We are extremely grateful to both these organisations for their generosity. The Restoration of the Interior of the Chancel is now complete and we have received a generous grant of £1000 from the Jane & William Morris Foundation to help towards the restoration of the stained glass windows. Heytesbury School have raised £234 in aid of HOP by selling home made cakes.The children have now signed 16 roof slates. We are extremely grateful for this amazing effort and their support. Stonemasons have repaired some of the masonry on the nave walls and the scaffolding has been lowered. The roofers have commenced replacing the aisle roof slates now the masonry work is finished. 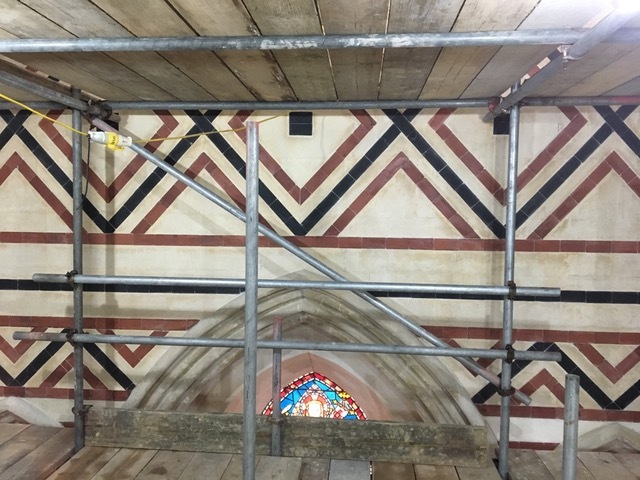 Work has begun on the restoration of the chancel interior with removal and repair of the floor tiles being the first stage. The pews and organ have been wrapped in dust covers and access to the chancel is now restricted for Health & Safety reasons. The nave remains open in daylight hours. The signing of the new roof slates for the church is ongoing although all the signed slates are now in place on the south side of the nave roof. Over £1200 has now been donated by a large number of signatories. In addition there has been a wonderful, anonymous donation of £1000 towards the church roof repair. There has been more good news this autumn. We have received a grant of £500 from the Jill Franklin Trust; £2750 from the Wiltshire Historic Churches Trust and £5500 from the Headley Trust, which is part of the Sainsbury Family Charitable Trusts. We are extremely grateful to all these generous benefactors. We have previously received a grant of £5000 towards the repair of the nave and south aisle roofs from the Warminster Area Board of Wiltshire Council. We are very grateful to Wiltshire Council for their financial support. A donation of £150,000 from an anonymous trust has been granted for the renovation and conservation of the interior of the chancel. This is a much needed boost to our fund raising. 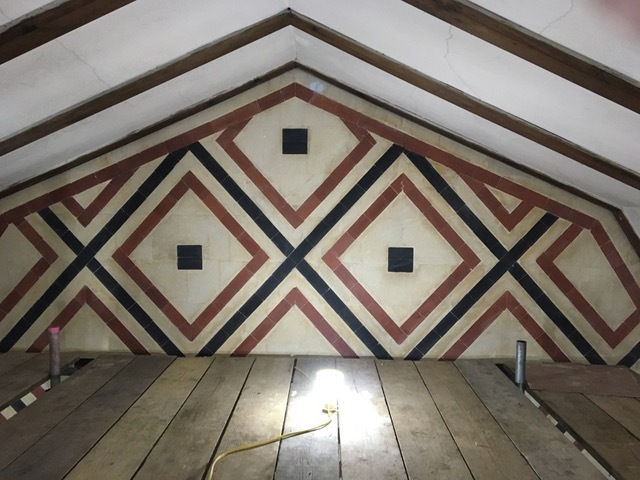 The fundraising continues in our objective to create a user friendly interior which also celebrates a thousand years of heritage relating to the church and the remarkable village of Heytesbury. 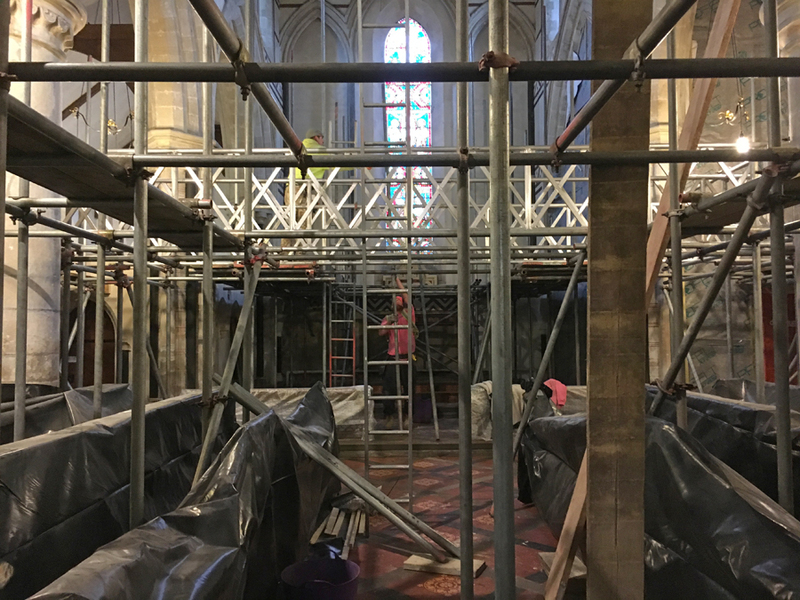 In July 2016 the Church fundraisers received news of an award of up to £100,000 from the Listed Places of Worship Roof Repair Fund to ensure the building is watertight. Work has now started. Please see the Heytesbury Open Place (HOP) page for details.